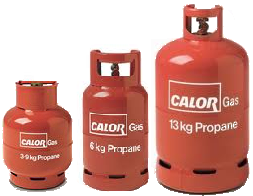 These cookers use Propane cylinders YA (3.9Kg), YC (6Kg) or YB (13Kg). The larger cylinders are more cost effective, but larger and heavier! These are only for use outdoors. The Water Heaters GG are very efficient, with a tap at the base. Some have piezo ignition. GG3 Burco, Propane Water Heater. 4 gallon capacity, With tap. GG4 Burco, Propane Water Heater. 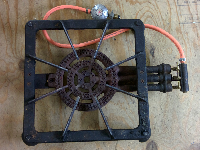 4 gallon capacity, With tap, piezo igniter and fixed stand. GG5 Burco, Propane Water Heater. 4 gallon capacity, With tap, piezo igniter. GG6 Burco, Propane Water Heater. 4 gallon capacity, With tap, piezo igniter and fixed stand. The Single GAZ burners GA run on disposable cylinders YN, making them convenient when no wind is about, but expensive to run. Type GT uses resealable Camping Gaz cylinders YD. The Meths Cookers GE/GF come with a set of two billies, with lids/frying pans. They are the ideal for hike and lightweight camping. Some can be used with Multifuel burners GV for use when meths isn’t easily available. These are Multifuel cookers, and will run on petrol or paraffin. The Twin Burners GB run from Butane gas cylinders YE and provide an effective cooker when sheltered from the wind. Primus’s GH run on paraffin (though started with meths), giving a good heat, but are not as easy to light as gas cookers. The Roarer types are suitable for windy conditions and fast cooking, the Silent types for more sheltered conditions.